I share an office with two other teachers. The young woman in my office the other day was trying to stay calm, but urgently looking for her prof. to see if he’d picked up the phone she had left behind. It’s got a ton of important stuff on it, she explained. So I lent her my desk phone and then my cell phone, and she called her own number. At first it went to message, and then it didn’t. She sighed, and explained: they turned it off. Why would they do that? It’s not just that her life would be turned a bit upside down, it’s the disillusionment, lack of empathy showed by them. Don’t steal. It’s the eighth of the Ten Utterances that are the revealed in this week’s Torah portion. Yes, stealing is mean, but what about that piece of bubble gum when I stole was 6? And what about Jean Valjean who stole bread to feed a starving nephew? What about Robin Hood? Why does the Creator care if we steal anyway, isn’t it our own business? And what happens if we break the rules? Now, in Jewish tradition, Satan (Sah-tan accent on second syllable) is not a devil, but an angel who is God’s adversary, arguing against humanity like a prosecuting attorney. A story, adapted from Capture the Moon by R. Ed Feinstein. In a Jewish Village of Eastern Europe there lived a notorious thief named Yonni. Though the villagers were very poor, Yonni managed to steal from them. Sometimes a purse of coins left on the store counter, sometimes a pair of boots left to dry on the porch. On a rare occasion even something valuable, a pair of candlesticks or a horse went missing. And every Friday he stole challah and a bottle of wine so his family could enjoy a Shabbat meal. Yonni was reviled. But somehow, in their loving tradition, Yonni was grudgingly accepted in the Jewish community. Thievery was simply his way of making a living, perhaps not much more sinful than other occupations. For example the town butcher was known to have scales that were not that accurate. The thief was skilled, but worked according to a strict ethic: he never stole from the very poor, and never stole items essential to the owner’s livelihood. He never took anyone’s last coin, and only took enough to support his family. When the Yonni’s days were done, his soul rose to heaven to stand in Judgement. Heaven was reluctant to take him, not because his crimes were so awful, but because the residents were worried about having their pockets pinched. So he was sent to Hell, where the thief was welcomed as a celebrity. No mere clerk, but the Adversary himself, Master of hell would handle his case. And so the thief was shown to the Adversary’s office, where he had to wait. Running hell is a big task, and there was pressing business. When the Satan was finished, he turned and warmly greeted his new guest. We have followed your exploits on earth and are honored to have you among us! he said. During their conversation, the Adversary revealed to the thief his pride and joy: a giant book, which sat upon his desk. For generations I have been carefully building a case against the children of Israel. I have carefully recorded every sin committed by every Jew. Every broken promise, betrayal, curses uttered, every Shabbat desecrated, charity coin pocketed has been meticulously inscribed in my book. I have an airtight case! he bragged. With the Jews gone, Hell would have much less opposition on earth, it will be so much easier to fill the earth with evil! My dream is about to be realized, he revealed with glee. The evidence is ready for presentation! But, just as the Adversary was finishing his speech, a messenger interrupted with pressing business. The Master was distracted for just a moment as he turned to the messenger. Yonni looked at the huge volume on the master”s desk. It would soon be presented, and misery would rain down on the people of the earth. The thief realized it was for this moment he was created. With sudden insight he realized what he must do. With fingers trained by a lifetime of pickpocketing, he lifted the book silently and in one smooth motion carried it to the window overlooking the raging fires of Hell. In a split second he opened the window and cast the book down. The book was consumed instantly! With the sudden gust of heat, the master turned to see what was happening: No! he screamed, but it was too late. You have robbed me of my victory! he cried in anguish. The master reached his hands around the thief”s neck to snuff his life out. You fool, do you know whom you have robbed tonight? he screamed to the fading soul of the thief. Suddenly the office filled with light. Two messengers from Heaven appeared. Cease! they commanded. We have a warrant for the thief, his soul is ours. Give him up! For a moment the Master hesitated, then sighed Very well, I will just have to begin my book again. Soon enough I will find sins to fill another book. The messengers carried the surprised thief to Heaven where he was granted eternal rest there as reward for saving Israel and the world from the clutches of the Adversary. But every once in awhile, just to stay in practice, the thief sneaks out of Heaven, stealing a soul or two from the master and bringing them back to Heaven with him. Do not steal is revealed at Sinai. The scene: it’s the third day of preparation at the foot of that mountain, and we are all gathered ’round. The mountain is smoking and trembling, there is thunder and the blast of the shofar. Boundaries have been set up (don’t get too close! ), expectations are soaring, fear is thick. The Creator is about to reveal an essence here, God will take a chance on making a connection to us all. It starts with an introduction, a “you know Me already, we met at freedom’s shore, that was Me!” Then the revelations, in a world that worships power, God cares most how we treat one another: that we must set boundaries of honor around one another as God set boundaries ’round that mountain! That’s fascinating: the only way for us or God to make serious connections is to set boundaries of awe. Only treating each other with honor and love creates a holy community – connections that make us more than the sum of individuals. It’s so inspiring that for a brief moment we can even see the sound of the thunder (how cool is that?) before the fear makes us pull back, sending Moses up alone. We need to take the inspiration of the encounter, of Sinai with us. It’s not in the two pieces of stone engraved, it’s in each other. Here’s a crazy thought: we can be a piece of Sinai: made of earth, with boundaries of awe, a potential place of connection to the divine. I love trees, freedom and music, and they’re all coming together this week! This coming Saturday, Jan 26th is Shabbat Shirah, the Sabbath of Song. It’s named after the song chanted in Torah this week. After plagues and terrible fear, the Israelites flee to the sea of Reeds. They turn to look behind them only to find Pharoah’s army and his best charioteers in hot pursuit, their hearts strengthened by God just for this chase. Miraculously a cloud of darkness stops the pursuers, and all night an east wind blows the water off the sand, you know the story. Egyptians die, we are born into freedom. What would be your first reaction to the release of your fear into freedom? Well, Miriam and Moses lead singing and dancing and playing musical instruments, and the Torah records this raw, emotion rich song. Midrash credits the first man with faith enough to jump into the waves as Nachshon, son of Aminadav (Aaron’s son in law), and says that because of his faith the sea is able to split. My favorite Nachshon song is by R. Joe Black, here’s a taste of the song: When Nachshon cried out from the depths of his soul, the Red Sea Started to Rock and roll! Well it split down the middle like it was shifting gears, and the children of Israel started to cheer! Last year I had the privilege of singing Peri Smilow’s Nachshon with the Freedom Music Project, which celebrates the Jewish/ African American shared connection to freedom from slavery in music http://freedommusicproject.com/ Our synagogue in sang with the fine folks of New Light Baptist Church as we do to honor the Reverend Dr. Martin Luther King each year. This year we celebrate Martin Luther King weekend on the same week we read of freedom at the Sea in the Bible: coincidence? I think not! Freedom and Music are natural companions! This year I also part of a huge unity choir singing amazing music, songs of Freedom and peace from both traditions, in Philadelphia at the National Constitution Center. the mountains and hills shall break forth into song, and all the trees of the field shall clap their hands! Perhaps this is where Rogers and Hammerstein got their idea for Sound of Music! As Grover (Sesame Street) said: the hills are alive, and it’s very frightening A-a-a-ah! And the roots of that tree reach deep into the ground, cradling the truths our ancestors found, and the tree is connected to every living soul, and that peace is made real when we are made whole: SHALOM! Trees are in serious trouble in this world, which means that we are too. Perhaps music and tub’shevat can be an way to reach folks, to connect trees to their souls. I love music, trees and freedom, and they’re all coming together this week. It’s my last day of winter break, and she’ll nominate those who try for some small blogger award, so I’m giving it a try. But maybe answering these questions will answer a little about me and why I write. When I first read The LIttle Prince in my late teens it spoke to me about holding on to childhood wisdom and rejecting the busyness of grownups pursuing important matters, losing their insights that love and stars and beauty and “pressing your nose against the glass” to see outside the train window are the most important. Childhood should not be ephemeral, but eternal as the LIttle Prince is. That the water the Prince and the narrator/pilot seek is spiritual nourishment is hinted at by the linking of the well to the pilot’s childhood Christmas memory. So the Little Prince is a book of spiritual and timeless ideals – how Biblical is that? The pilot meets the Prince, and their love is forged in the crucible of the desert: just as Abraham journeys and the Israelite nation is born there. The wilderness is our place of spiritual encounter and forging our love affair with the Eternal. The second question asks about a fictional character I most identify with, so I’m totally going to go with the pilot from The Little Prince. Flying along, looking at the stars with wonder, hearing their laughter each time they twinkle -knowing there’s so much craziness holding them together and making them shine. Like the pilot, I have learned to love most by falling in love with my children. They reached me from whatever asteroid they came from in the desert I didn’t even know I was isolated in and taught me about the roses from their particular star. They tamed me. But you have to let them go to find their own planet to tend in the end, they grow up and leave you, richer but sadder. The third question is kind of fun, asking which five people, living or dead, fictional or real I’d invite to dinner. The first guest’s a gimme, Albert Einstein, of course: Einstein knew that feelings of wonder and awe was part of the fabric of the soul just as space and time are the fabric of the universe. He also struggled with his Judaism, but also famously said God doesn’t play dice with the universe in railing against the uncertainty of quantum theory, and sought a unifying field theory because of a deep attraction to unity in the universe – Adonai Echad! What incredible conversations! What insights I’d leave the table with. Next I’d totally invite Dr. Jane Goodall, whose forays into the wilderness have forged a connection to our closest relatives in the animal kingdom. Chimpanzees grieve, war, stand in awe before natural wonders, use tools, and are endangered by human activities. Jane has dedicated her life now to conservation. She’s a heroine of mine and also a fabulous story teller. My next two guests are who I’m named for. My Hebrew name’s Miriam, after my Grandma Bertie’s mom, a Russian immigrant who opened a grocery store in Jersey city, where chickens had to be plucked! I’d love for her to tell me of what life used to be in the old country, and gain insights to the person who partly raised me. Great Grandma and I are namesakes of Miriam from the Bible, you know, the one who watched brother Moses in the Nile, was a prophetess and led the Israelites in music across the waters to freedom. I’d ask her about the music and the timbrels, about freedom, about sibling rivalry, about prophecy: what an opportunity. Maybe she’s where I get my passion for music. That leaves me only one choice left for the dinner party, which is unfortunate. My top three candidates are: Jefferson Smith: Jimmy Stewart from Mr. Smith Goes to Washington, Anne McCaffrey, author of Dragonriders of Pern, and George Gershwin, who died so young, with so much music in him. I think I have to go with Anne McCaffrey, because she’s the only one I actually did invite to dinner. She lived in Scotland, but in the fan letter I emailed her many years back, I said if she were ever in New Jersey…. I lived many a day in my dreams on the planet Pern, in the musician’s guild with Menolly, making friends with tiny fire breathing dragons while composing melodies. It would be an honor. Their memories are for blessing. My favorite place to pray is either a synagogue filled with inspired music or my back deck. I know it’s not a mountaintop or anything, but it faces east, I can hear both natural and man made sounds and feel the breeze, and it’s so accessible! The final question asks something I hope for in 2013. I’m not so young that I think change can happen overnight, but I also know what Margaret Mead said is true, not to doubt that a small group of thoughtful, committed citizens can change the world, indeed it’s the only thing that ever has! So I’m hoping for gun control legislation, and the start of serious change in conservation and climate change laws. If we will it it’s no dream? So why not dream big, it sets the stage. If not now, When? Now listen to the first song in the Dan Nichols link, because miracles do happen every now and then! Write back, what are some of your hopes, your dinner invitees, your favorites? I’d love to hear! 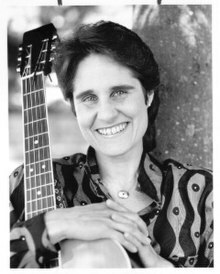 Today, Shevat 4th in the Hebrew calendar, is the Yahrtzeit of Deborah Lynn Friedman, whose heartfelt approach to spiritual music has made so much wisdom and prayer accessible to our souls. She suffered much from illness in her life, yet her melodies emerge soaring and hopeful, and they helped birth spiritual awareness in many. A few words about Torah linked and dedicated to Debbie today, and then a song. We read this week of awakening, the spiritual birth of a nation from the darkness of enslavement and inhumanity to the light of hope and freedom. We read of the last three of the plagues – three types of darkness. In the first, locusts darken the earth, hiding it from our view. I notice that today many of us live day to day nourished by the fruits of the earth, yet without awareness, or even the feel of the earth beneath our feet – and we don’t even have locusts to hide it, just our routines! Next a thick darkness envelopes Egypt, a darkness that can be touched, in which a person cannot see their brother. Yet light existed in the dwellings of the Israelites, so this is no ordinary darkness, but an ethical and spiritual place. Finally the ultimate darkness, death of the firstborn of Egypt. Part of me knows that this is payback for the killing of the Israelite baby boys. Another part of me suspects that this is an assassination of the leadership (i.e. firstborn) of Egypt in a war for freedom, with credit given to God. But part of me cries. These Egyptian families were our friends, our neighbors. They freely gave us gifts, treasures for our journey into freedom. It is true that battles for liberation are bloody and sad. We are birthed as a nation through a womb marked with blood, symbolized perhaps by the markings on our doorposts. But in spite of the pain, and through it, we are birthed into light of hope and freedom. Debbie Friedman’s “Sow in Tears” is perfectly expresses this transformation from tragedy to joy. Those who sow, who sow in tears, shall reap in joy! Our lips our mouths are filled with song, you can see my tear filled eyes! May her memory be for blessing! We need a hero today, as in the days of Moses. After snowstorm Athena dumped on us a week after Hurricane Sandy, one of my students joked if there are locusts next week, I give up! But climate change and storms of this magnitude are no joke. In the saga of Egyptian slavery we read of ancient plagues. These are no ordinary plagues, they are karma. Egypt does not honor laws of kindness and decency, does not choose life. An edict that newborn Hebrew boys shall be slaughtered is supported by arousing anxiety that these boys will grow to be soldiers and defeat Egypt. The midwives and moms know better, they fear God and disobey the man/god Pharaoh. In the first plague, the Nile. that life giving blast of fresh water, turns to blood: it is the blood of the baby boys. The Hebrews are described as “swarming” and “multiplying”as if they were annoying insects rather than humans, and several plagues involve swarming: lice, locusts and frogs. I love it, nature is called to rebel against the inhumanity. The plague of darkness is described in next week’s reading as a thick darkness. Now if I were describing it, I might say it was so thick I couldn’t see my hand before my face. But this is no ordinary darkness, rather it’s a blindness/ darkness of spirit, a darkness so thick that a person could not see their brother! Egypt turned Hebrews into “others” rather than “brothers”. It’s scary. But as in ancient times, we ignore the danger, we grow used to it. Torah says that God “strengthens” Pharaoh’s heart – the Hebrew y’chazek means to strengthen (not harden) and I believe God is the power which can strengthen our hearts – but that’s not always good! Sometimes we need a more vulnerable heart, which can fear and feel, perhaps that’s the heart of a hero – or some balance of the two. That’s why midwives Shifra and Puah, mom Yoheved, and sister Miriam are heroines, they act with a feeling heart. They are also subversive, defiantly choosing life, so that yet another hero, Moses can live. I met a hero this spring, Reb. Arthur Waskow, founder of the Shalom Center in Philadelphia http://theshalomcenter.org/ He, with his wife R. Phyllis Berman, works to subvert the status quo in support of what is decent and good and right in many ways. Reb. Arthur speaks of the changes happening in society and on this beautiful planet of ours as an “earthquake”. He says there are many ways people respond: by apathy because “there’s nothing I can do”; or by retreating, blindly clinging to ancient ways. Arthur proposes an alternative, to respond, to dance in this earthquake! Reb Arthur told of a Tub’shevat observance several years ago in the remnant of a forest in which a company had clear cut old growth giant redwood stands. In defiance of local edicts, Arthur and others carried redwood saplings onto the muddy ground of the ruined forest. He danced in the earthquake! I was inspired to write a song, at the suggestion of Cantor Leon Sher, much of which is below. I changed the first verse written here after Sandy. Charged up seas stretch out an angry hand. Hearts will tear as images reveal homes and lives swept to the raging tide. Praying with our legs* we learn to dance! Dancing in the earthquake, what will be our dance? Teeth of metal gash the ancient bark, mighty redwood you will fall. Trembling earth receives your body’s every branch, broken hearted. Eytz chayim hee, our Tree of Life! Teaching us: this can be our dance! Dancing in the earthquake, this will be our dance, this will be our dance! Names matter: I had a teacher that called me Frodo all term, because of a Hobbit shirt I wore on the first day. My name’s not Frodo, but at least it was a name. I just saw Les Miserable, and I noticed that Jean Valjean is the only character with both a first and last name. His, pursuer, Javert, tries always to call him by his number (24601, I think), and is the only character with only a last name . This numbering may remind you of someone else too: there is a man at the market where I shop, with a number tattooed on his arm. I’ll meet 130 new people in classes in a couple of weeks. To look them each in the eye and learn their names will be my mission, it shows them each cavod, honor, that there is the depth of history, identity to them, an acknowledgement that who I see before me is just the tip of an iceberg in time, space and soul. The new book and portion of the Torah read this week means names in Hebrew, (shemot), and there’s an iceburg in here. Running strongly through this drama are words of births and families, and the names of women who honor those tiny, beautiful lives, and so save us all. under circumstances where babies and adults were reduced by blindness of fear and prejudice to expendables, to numbers. In this drama names are withheld from a baby, (and his mother, father and sister) until the moment the princess withdraws him from the river and names him Mosheh, Moses. An unnamed man will beat a slave (named brother) Moses will flee, and marry and name his son stranger there, Gershom. And then it is God who chooses a new name, at the place where an ordinary bush is burning without being consumed by the fire: Ehye asher ehye – I will be what I will be. A brief side note about opposites: this fire will inspire the birth of a nation through water. birth happens in the midst of death, emancipation from the crucible of slavery, guided by pillars of fire and vapor, led by the son of a slave who emerges from the king’s palace, saved by water which drowns. A male hero emerges entirely fashioned by the strength of wonderfully subversive women who, in their courage choose life. Names describe, identify, limit and constrict our reality, but they’re crucial. This poem honors those names who perished in the Holocaust.